Want to give somebody a high-octane Christmas present this year? Why give them the same old pairs of novelty ties and socks? Instead, one of our gift vouchers will provide them with a ticket to 7-hours of incredible rally driving at one of the best venues in the UK. Set in the heart of Wales, in a rugged landscape that provides stunning views, our venue is so good, it’s regularly used for pre-event testing. Easily slipped into a Christmas card or stocking, our gift vouchers are ideal for any motorist who dreams of having an incredible driving experience in 2019. They’re a great way to fill somebody with anticipation for the year ahead. We can have you practising slides and tackling corners in no time. Rated five-stars by our happy visitors on Trust Pilot, Phil Price Rally School have four fully prepared Subaru rally cars waiting to have you behind the wheel. We spend as little time on theory as possible before moving you onto the fun stuff. Our passionate instructors will teach your all sorts of techniques to help you control the vehicles. 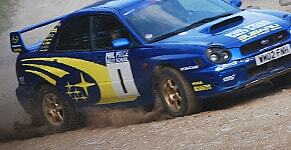 Our One Day Intense Course even culminates in a competition against other rally drivers. Will your loved-one be the one to take home the winner’s trophy? 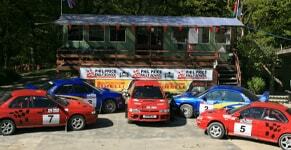 Why not book one of our driving days today?